It amazes me how things change over time. Today, on Good Friday in the year 2013, I could easily write about marriage and the changes folks want to see and how my heart grieves. Or I could write about the school system, adolescence, technology, the climate, world travel, laws and legislation; heck, I could write about Starbucks. Almost anything you think of has changed over time. One of those things, is this day we call "Good Friday." Before reading this, take a deep breath, put on your imagination hat, and picture yourself in the sandals of one of Jesus' first followers. You're in a bustling city whose population increased ten-fold this week. Families are gathered together to remember the Passover. This happens every year. But this year is different. Your mind is racing as you remember what went down last night. Jesus, the guy you've walked the rocky hillsides around Lake Gennesaret with for almost three years, washed your feet. He's the teacher. The servant is supposed to do the foot washing. After He did this humble act, He went on to tell you that you should wash each other's feet. James and John glared at each other like only brothers know how to glare. You were slightly shocked. As the night went on, a cool breeze swept across freshly washed feet, finishing the drying process when Jesus said something you never would have expected. With tears welling up in His eyes, your rabbi said, "I tell you the truth: one of you will betray me." Your eyes race around the table. Your heart is pumping too fast for someone sitting at the dinner table. You see John leaning up against Jesus' chest. Peter motions to John saying, "Find out who the betrayer is." So John asked Jesus and He responded by dipping bread in a cup and handing it to Judas. With a stone-cold poker face, Judas left the room. Now eleven of you are sitting in this upstairs room of a house owned by someone you do not know. Jesus goes on and and talking. You hang on His every word. Without realizing it, you shake your head in confusion. You whisper to yourself, "Did He just say the bread is His body and the wine is His blood?!" Awkwardly, you follow every move Jesus makes, eating this last supper together. The conversation continues while everyone reclines a little. Jesus speaks with clarity although the content is confusing you. Over and over, He mentions "this cup" which reminds you of the Psalms you once learned. You wonder what He is about to do when His eyes turn to the ceiling. The prayer Jesus prays is unlike anything you've heard from Him before. He talks to God as if God is right there in the room. Slowly, Jesus gets up and walks out the door. You scramble to get out the door and follow Him. Next thing you know, you're walking through the Kidron Valley, up the hill to the olive grove Jesus took you to so many times before. That's when things get crazy. Soldiers with swords, clubs, and cuffs meet you there in the dark trees with torches lit. Judas, the friend you shared so much of yourself with over the last few years, leads the group. You saw him greet Jesus with a kiss, as if this was nothing out of the ordinary. Jesus hardly spoke, except when Peter cut off a soldiers ear. You knew Peter was trying to cut off his head. Tension was high. You could almost smell the adrenaline. Your heart was about to leap out of your chest. After Judas and the soldiers arrested Jesus, you waited through the night with the other disciples. Tired and confused, you didn't sleep a wink. Before the sun was up, an angry crowd of religious leaders gathered outside the court where Jesus was being questioned. You recognize a few of them from the week before when they questioned Jesus. Next thing you know, in your half-awaken stupor, Pilate offers to set Jesus free! There is hope! You hold yourself back from running to embrace Jesus. Then the crowd shouts for Barabbas. You remember that he is a terrorist, obviously guilty. Barabbas is set free. While you stand there speechlessly shocked, you're blindsided by the shouting of the crowd. Then the crack of a Roman soldier's whip pierces through the chaos. The crowd cheers as you watch them beat Jesus through tears. You can't help but think about the days you spent gutting fish while the sound of tearing flesh causes Jesus unthinkable pain. When they pierce his scalp with a crown made of thorns, you know now what He was talking about at dinner the night before. A few hours later, soldiers pound nails through Jesus' hands and feet, and you have another flashback. This time you think about that day Jesus taught you how to swing a hammer. He was a carpenter before He invited you to follow Him. The cross slams into the hole on top of that hill, and you snap back to reality. You see Jesus' silhouette in the sunset and a clap of thunder nearly stops your heart. The flash of lightning makes you wince while the rain forces you to curl up in a ball. Speechless once again, you try to cry, but your tears have run dry. The two other men being crucified that day are guilty. But, Jesus? You know He's done nothing wrong. Three years together and you never once saw Him sin. The sign above His head written in Greek, Latin, and Hebrew reads: This Is The King of the Jews. "Is that a crime worth being crucified?" you think to yourself. Emotions you never knew existed, run through you like blood in your veins. Completely out of tears, you quietly walk away, Jesus gasping for air, hanging in the horizon. This is the worst Friday imaginable. You would never guess that some 2,000 years later, every calendar would label it "Good Friday." What will you be thinking about this Good Friday? Maundy Maundy... The Mamas and the Papas? Growing up I thought today was called "Monday Thursday". Now I am aware of the difference between Monday and Maundy, but still had no idea why we called it Maundy Thursday-- what the Church around the world is celebrating today. Let's take a look! The word "maundy" comes from the Latin word "mandatum", meaning "commandment". It dates back to as far as the Council of Carthage and St. Augustine as the Catholic church fasted, partook of Communion, and washed each other's feet. This is a day that the universal Church remembers Jesus' commandment stated in John 13:34-35, "A new commandment I give to you, that you love one another: just as I have loved you, you also are to love one another. By this all people will know you are my disciples, if you have love for one another." As it is Holy Week, we highlight the death and resurrection more than any other time of the year. There is no greater demonstration of God's love than in sending His Son to the cross to die for each one of us, and He commands that we love others with the same fervency that He has for us. Jesus also showed this to His disciples on that Thursday night thousands of years ago by washing their feet. During these times, feet were the dirtiest, filthiest part of the body -- as they would wear sandals and walk on dirt roads in the warmth of the climate -- you can imagine. It was the role of the servant to wash his or her master's guests feet as they came, but Jesus took this upon Himself. This is a convicting thought to me. Christ displayed such love in His humility, and I'm asked to do the same. However, the words, "which is yours in Christ Jesus" are such a comfort! It's not about me trying to be humble and trying to love those around me. But it's Christ in me that transforms this mindset and lifestyle as He makes me more like Himself. This is the work of sanctification in our lives: Christ in us. Day by day, as we walk in fellowship and communion with Him through the Word and prayer, He is constantly molding us to be more like Himself. So today, as we celebrate the commandment (Is it kind of strange to celebrate a commandment?) that Jesus gave so many Thursdays ago, let us recall that it's Christ in us that gives us the ability to love like He did and does. Look to Him for that strength, and be ready to be amazed when He does that work in your life. A huge portion of my "missional heart" belongs to Operation Christmas Child. I think I've been packing shoe boxes ever since the project started back in 1993; and if it wasn't then, it was only a year or two later that we began. For seven years in a row I had the opportunity to volunteer at the Processing Center in Minneapolis with my youth group. I was able to volunteer at Relay Centers, both in Sioux Falls and in Bismarck. I've been encouraged as I've seen the church here in Beulah rally behind this project and the number of shoe boxes donated from our little town grow over the past years. This past week, I received the "Special Report" magazine from Samaritan's Purse, highlighting the OCC gifts and distributions this past year. As my eyes took in the immense smiles on the children's faces, the utter joy and disbelief at the gifts they were receiving, tears came to my eyes. And I thought - "I want to be a part of that." It's been a dream of mine to deliver Operation Christmas Child boxes. I would love to be involved in OCC's discipleship course, The Greatest Journey. I want to see the joy on those children's faces personally; I want to rejoice with them as they not only receive wonderful physical gifts, but as they receive the gift of Jesus as their Savior. Because at first glance, at first thought -- that's the important work. That's the exciting work. That's the work on the front lines, where all the action takes place. But as quickly as I thought, "I want to be a part of that" - I was reminded that I am a part of it. Just not on the front lines. Just because my work begins in Beulah, North Dakota population 3130, doesn't make it any less important. Any less significant. Any less needed. I'm a part of the body. The body of Christ. What I do, how I serve looks different from what you do, how you serve. Sometimes it's all too easy to deem the "seen" positions as the important parts of the body. We forget that toes offer our bodies balance. That eyelashes keep dirt and debris away from our eye. That tiny taste buds make eating enjoyable. Did you catch that? There is no insignificant part of the body of Christ. Idolatry. When we care about what man thinks more than what God thinks, we turn people into idols that we worship—seeking to please them in order to earn their approval or respect. Ineffectiveness. When we fear man we neglect God’s calling for us and we lose focus on executing the tasks in front of us because we’re too preoccupied with what others are thinking. Lack of love. When we’re overly concerned with “getting it right,” we turn people into projects to accomplish. We withhold our compassion and grow reserved and calculating in our pursuit of people. Fakeness. If you’re overly motivated by the opinions of others, you won’t act like yourself. You’ll be a chameleon, adapting yourself to any situation for the sole purpose of fitting in. Apathy. Fear man and you’ll quit taking risks because of the potential for embarrassment in failure. If an endeavor is unlikely to succeed, you’ll never take the chance. In other words, you’ll never do much of anything. Dishonesty. It’s tough to speak truth into someone’s life because the truth can be painful. If we fear somebody’s response, however, necessary words will remain unsaid because we care more about ourselves (being liked) than we do about the person (seeing Jesus work in their life). This negligence always creates more long-term damage than the hurt it avoids in the present. Isolation. Fear of man won’t let you delegate anything because others might not do a good job (or they might do a better job), which could reflect poorly on your performance and reputation. Fear of man compels you to control everything—even if that means going it alone. Decision Paralysis. When we live out of fear rather than out of the convictions God has given us, we spin in circles unable to move forward. I invite you to join me in respecting and honoring others and submitting to authority, but also in repenting of our fear of man. Fear and worship are reserved for God. In the end, only his opinion counts. Find Pastor Jamie on Facebook and Twitter. From the middle of January to the middle of March, I'd been reading the Gospel of John. So just over a week ago, I started reading 1st, 2nd, and 3rd John; letters written by the same guy named John. The overlapping content caused me to see things in a new way. John expressed his relationship with Jesus with congruence. Through his writing, John's witness was agreeing with his life lived. His words are corresponding with his actions. This makes me think about my own life. In different contexts, am I the same person? Do my actions line up with my words? Am I the same person on the outside as I am on the inside? How could I live this way? By reading John's writing, I get a sense of congruence that points me to the answer. The 15th chapter of the Gospel of John and the 2nd chapter of John's first letter emphasize the how. Remain connected to Jesus. Love one another. Simple. Easier said than done. Constant connection with Christ allows us to love others here on Earth. This is the ultimate picture of congruence. My heart longs to know Jesus and to communicate His love with congruence like John has done. Fact: It's really easy for me to read my Bible when I'm going through a struggle. I saturate myself in it as my hunger pains lead me to the nourishment that has the power to heal and restore. Confession: It's really easy for me to neglect my Bible when I'm not going through a struggle. I can go through life just fine on my own when I'm not going through a trial. I know I talk about reading the Bible a lot: I spoke of it as food in relation to my eating-disorder and then last week I spoke of the truths that are proclaimed in the Word opposed to the emotions that lead us so often. This isn't to chastise you if you haven't been reading the Word, it's to encourage you. I probably need this post more than you do because I'm the one that leaves my Bible on the shelf when life is smooth sailing. And honestly, there will never be a day that I do not need the Word, because I'm always a sinner in need of God's grace. Let this be an encouragement to you: the Word of God does not go forth and return void (Isaiah 55:11) so let God speak to you today through the words by which He has spoken. "Life in the Spirit doesn't just happen, we have to train for it." This is a quote from the sermon at my church this last Sunday. It really rang true to what I've been learning as of late. It's only through training, that we are able to have flourishing life in the Spirit. How does this look? By actively pursuing opportunities to interact with the Holy Spirit, and the Gospel of Jesus Christ. Are you training for life in the Spirit? There's a 28 mile stretch of highway that connects Beulah to Interstate 94. This stretch is filled with memories for me. Like the times I headed back to Fargo after a weekend at the Lake with my good friend Sam. Like the time I had to drive in the southbound lane when I was actually headed north because the snow, wind and drifts made the road impassable at points. Or like the one time when I had to pull off and take a nap at the start of a trip to visit my friend Carmen because my 6-week-old pregnant self demanded afternoon naps. All these memories and more came to remembrance as I wound up and down the hills. Remembering is good. Difficult, even painful at times. But good. As we look back and remember, we see how the Lord has provided. How He has protected. How He has gifted. How He has blessed. How He has been. Throughout His Word, the Lord encourages us to remember. One example can be found after the Israelites finally crossed the Jordan River into the Promised Land after 40 years of wandering in the wilderness. The LORD told the Israelites to erect memorial stones once they reached Canann in order to remember what He did for them. Sometimes, it's easy to forget. Sometimes it may temporarily seem best to forget. But as we remember events, people, places and circumstances that we have faced, we see His hand. At the time of the trial, at the moment of heartache, or in the midst of the joy, we can sometimes overlook the Lord. Which isn't what He would have us to do. What do our modern-day memorial stones look like? Maybe it's a photo, or an entire photo album. Maybe it's journaling. Maybe it's simply taking time every once in awhile to stop and reflect. And in our remembering, may we always bring back all thanks and praise to the One who has indeed provided, protected, gifted, blessed and been ever-present with us. This is embarrassing. I'm hesitant to even post this. Yesterday I greeted my shower, armed with a bristle brush & soft scrub. The dark grime in the corners had become more noticeable recently. It was time. What happened next horrified me. Running my hand along the shower wall, it felt rough beneath my hand. Invisible scum... layers of it. Gross. It got worse. As I scrubbed the crevices around the glass door, large black flakes of mildew broke free. Disgusting. I was utterly repulsed. How this have built up without my notice? 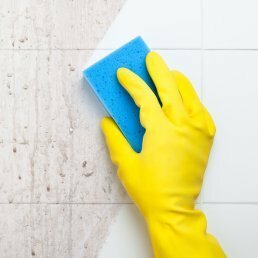 As I scrubbed (and I had a lot of scrubbing time), I pondered all sorts of things about showers, scum, and bristle brushes. Funny as it may seem, I prayed, asking God to use this as an object lesson. ...Bear with me in this analogy. The shower is where we find cleansing, much like we find cleansing in the water of the Word (Eph5:26). If then, the shower is for my cleansing, WHY are the walls and corners so filthy? The scum in my shower built up very slowly over time. With every washing, some residual residue stuck behind. I wondered... is it possible that, while my heart had been cleansed particular areas of sin in my life, there could remain some hidden, residual idols? Idols that cling to the sidelines, but just the same, are there, preventing me from fully reflecting Christ. Ceasing to consume unrighteous media in your life... do you still have those CDs, DVDs, games, etc, tucked away in a drawer? Ending a destructive relationship... are there notes, jewelry, or trinkets around your home that you haven't yet surrendered? Recognizing certain friendships/relationships as destructive in your life, do you still text, follow on Facebook, 'hang out' with them? Convicted of immodest clothing... yet are they still hanging in your closet? These are just a few examples of ways we can be 'cleansed' from sin and yet cling to a hidden idol. As it has mine, I pray this slightly crazy analogy speaks truth to your heart and opens your eyes to personal idols that may be (even unintentionally) hiding in the corners. with those idols . . . Taking delight in the gift that is the Sabbath, blessed rest is found in conversation with a friend. Our wives are out and about doing wife things while we are at home doing husband things. Things like changing the oil on the Volvo and marinating deer steaks. It's a beautiful scene; for the most part. In the kitchen sink, dishes are perched precariously upon one another like middle-school girls at a Justin Bieber concert. But the smell is more reminiscent of a middle-school boys bathroom. Food is plastered to plates and everything is speckled with yesterdays coffee grounds. The last thing I want to do is pick up the sponge squished at the bottom of the mess. Much to my surprise, it is the very act of grabbing that sponge that will shape the day. After verbalizing the reality that this monotonous chore has created the perfect platform for a heart deep conversation; my friend gets real with me. "I'm like a dried up sponge. When I actually take time to read the Bible, I soak up so much." With my hands immersed in the sink, scrubbing a pan with Herculean strength in a feeble attempt to get week-old eggs off stainless steal; I stop. My furled eyebrows relax. The splashing sink becomes a placid pool. As my grip releases, the sponge I'm holding expands along with my lungs. All of this causes me to smile. It's a moment of grace. The Eternal One is in the kitchen with us. We dodge the potential condemnation and cling to Christ's compassion. The fact that my friend noticed he's like a sponge (dried up or not) is the important part. He sees reality. He sees potential. He sees himself. He sees Jesus. 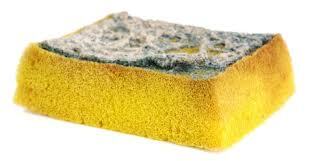 All too often we beat ourselves up because we feel like a dried up sponge. Jesus doesn't show up saying to us "Figure it out first, you're a dirty old dried up sponge. I need a bright, new Scotch Brite scrubber." No. He says "Come to me, all who are weary and burdened, and I will give you rest." That's an invitation for the dried up sponge to soak up His water. To realize that we are nothing more than a dried up sponge is to view ourselves correctly in terms of God's relentless pursuit of people with His overflowing, unceasing grace to absorb His living water. Whether you've spent time soaking up God's word or you're a dried up sponge, come to Jesus as you are and be at home in the embrace of His nail pierced hands. Do you ever wonder what you were created for? Do you ever wonder why you're good at some things and not others? Do you ever think you don't fit in ministry, because you're not sure your talents are spiritual enough? I think if we're honest, all of us have had those questions, or ones very similar to them. They can lead to fear, doubt, and immobilization. But you weren't knitted together in your mother's womb to merely exist in this life. You were created to impact others, and point to Jesus. The truth is, God has created and orchestrated you to be you. You are unique, and so is your purpose. Your fears, failures, hopes, dreams, talents, raw abilities, weaknesses, experiences, locations, interests and personality, have geared you to be used mightily for the glorification of God. You don't need a title, specific role, location, or resources, to be used by God. He created and orchestrated you to be you, so you would have a unique opportunity to impact the world and point others to Jesus. Understand you are uniquely created and orchestrated to impact others and point to Jesus. Realize what you've been given. Use what you've been given to impact others, and point to Jesus. It really is that simple. It may take a bit to realize and assess the ways you are unique, but when you do, the opportunities to use them to impact others and point to Jesus are endless. How has God created and orchestrated you? I'd love to hear how you're using what God has given you, to impact others and point to Jesus! You know what I love? I love the sound of my baby boy's giggle when he rides on his daddy's shoulders. I love the pure joy that lights up his face after I round the kitchen island in a game of peek-a-boo chase. I love hearing him make truck sounds as he pushes anything with a wheel. As a mom, hearing those sounds - as well as the countless other babbles, screeches, and songs - fills my heart with joy. I never get tired of it. And I can't help but think that maybe the Lord feels the same way. Maybe the same joy that I experience as I watch my son explore, giggle, learn and grow is the same joy that fills the Lord's heart as we follow Him - as we truly follow Him. As we put feet to our faith. As we love on those who go unnoticed. As we clothe the naked, feed the hungry, and stand up for those who cannot stand up for themselves. I know we don't do good deeds to earn God's favor. We can't earn our salvation based on the number of times we made Him smile. His love for us isn't based upon such things. But I can't help but think His heart is filled with joy as we carry the love of Jesus to the world. As we live as His hands and feet. As we obey even when it's difficult. So, how about we put a smile on our Father's face today? To the untrained, unassisted eye the depth of darkness is the only thing present in the night sky. Somewhere, out there in the universe, a star shines bright. With a telescope, the smallest flicker of light becomes visible. Sitting down with an astronomer at the controls of the Hubble Space Telescope, it becomes apparent that the flicker of light is actually a galaxy exponentially bigger than the Milky Way we find ourselves inhabiting. These flighty flickers of light fill the lens of a telescope. Outer space is filled with galaxies that would take the most skilled professionals multiple lifetimes to calculate. In the darkest dungeon of sin, a glimmer of hope appears. Initially it looks like an easy escape, providing a provision for pain. With care and kindness, truth is told, and that hope is now reality. Beyond the mere escape from prison, there is a gift of freedom. The magnitude overwhelms and the possibilities of the life to be lived are endless. Logos - the Word (which became flesh and dwelt among us), Jesus Christ - is our telescope, bringing clarity to hope. Family, friends, fellow followers of Jesus are the astronomer(s) explaining the depths of this galaxy called the Kingdom of God. Father, Spirit, Son - the triune God- produces in us faith. As a personal, powerful Savior Jesus gives us the grace we need to be sure of that for which we hope. As a merciful, loving Guide Jesus leads us to a place of certainty of that which we do not see. Next time you look at the dark night sky, consider how much God cares about you, your family, your friends; those flickers of light that make your day. Also consider the criminals, the political opponents, the theological opposite and your least favorite human; no matter how dark they may seem to be. Somewhere out there is the Light. Are you anything like me? Are you driven by your emotions? I think if you're honest, you might agree. This week I went to a night of praise and worship and the music was amazing and I love singing to my Jesus. However, something didn't sit right when a guy got up and explained how the music was so powerful and moved him much more than anybody that could get up and read a Bible verse. Because, well, music is powerful and stirs emotions, but what about the Word of God? Hebrews 4:12 says, "For the word of God is living and active, sharper than any two-edged sword, piercing to the division of soul and of spirit, of joints and of marrow, and discerning the thoughts and intentions of the heart." And one of my absolute favorites, Isaiah 55:10-11 says, “For as the rain and the snow come down from heaven and do not return there but water the earth, making it bring forth and sprout, giving seed to the sower and bread to the eater, so shall my word be that goes out from my mouth; it shall not return to me empty, but it shall accomplish that which I purpose, and shall succeed in the thing for which I sent it." It's incredibly easy to be moved by emotion, to place an emphasis on what we feel. In fact, God gave us those emotions to draw us closer to Him. But it's when we distort them and place a higher emphasis on what we're experiencing instead of on the unchanging truths proclaimed in the Word of God that we run into trouble. Because Satan knows about our emotions and he enjoys toying with them. That's where he plants seeds, because if you don't feel something, it must not be true. So let's look at what the Bible DOES say here. Where is your house? Where is your faith? I've never been a big fan of change. I didn't like that year when my brother lived in Florida, over 1800 miles from me in Fargo. That stunk. I also didn't like the change that came with moving out to western North Dakota. Don't get me wrong, I wouldn't trade being married to Jordan for anything; but when your closest friends are a minimum of 250 miles away, others 500 miles away - it's tough. But if I could do it all again, there would be things I would change in the change. Like when I moved out to Beulah, I wouldn't have waited to invest in friendships, in relationships. Because you know what? Time is not on my side. Jenna was married the same summer that I was. She and her husband live up the street. For the past three and a half years, I could walk up to her house and count the other houses I passed on two hands. But ya know what? I wasted a lot of time in the last three and a half years. Maybe it's because I had this faulty thinking of a newlywed who believed the only friend they needed was their spouse. Maybe it's because I thought the friends I had from AFLBS were so great I didn't need any other friends. Maybe it's because I felt like a scared middle schooler wanting the cool girl to be her friend. I don't know. But it wasn't until this last year that my friendship with Jenna really seemed to take root and grow. I hate that I wasted that time. If I could go back to 2009, I would change a lot of things over the course of the next three years. I wouldn't take for granted the fact that such a good friend would live so near. But unfortunately, I can't go back. I can only make use of the time that I have now. I can only make better investments in friendships now. I can only be bold and intentional in creating new relationships now. So that young couple we met the other night? I guess I shouldn't just keep her number in my phone - I should call her, text her, have a play-date with her. Our neighbors across the street? I shouldn't just wish I knew them - I should bring over some cookies, invite them to our place for a game night. That family from church who always seems to encourage me? I shouldn't just think about how grateful I am for them - I should tell them, thank them for being a blessing. It's too easy to think that we've got time. So we wait to invest, wait to engage, wait to bless. But in waiting, we waste so much. Because you know what? Time is not on our side. being alone versus being with others. this is one of the most difficult tensions we face in this life. and if you haven't noticed yet, this life is filled with tensions. you could summarize this tension to one word: being. a tension worth paying attention. looking at Jesus' life, He clearly faced this tension day after day. many people were pulling for His time, His talents, and His teaching. but He also longed for time in solitude. looking at the life of the early church in Acts, we see a phenomenal picture of togetherness, oneness, and rich community. however, we rarely read about the followers of the Way being alone. being with others is necessary. "With others and without them we are at home. In both their company and our solitude we will meet God." is today a day for you to be in solitude with God or does He want you to be with others?